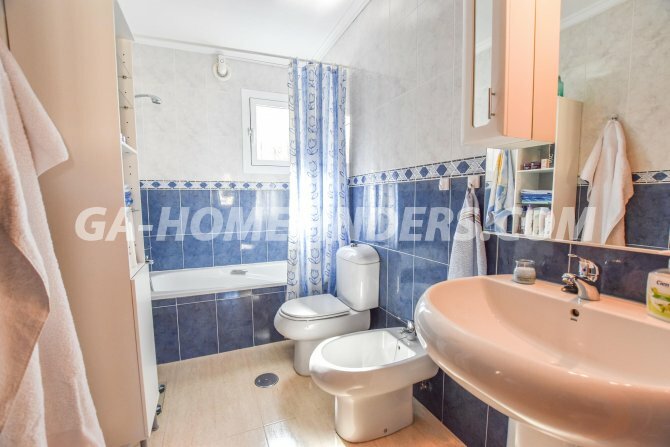 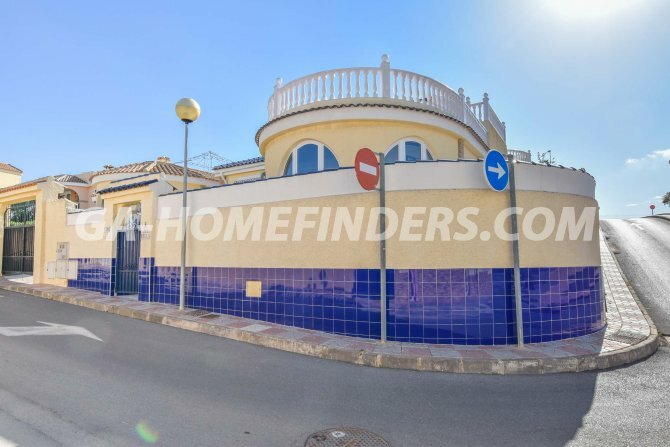 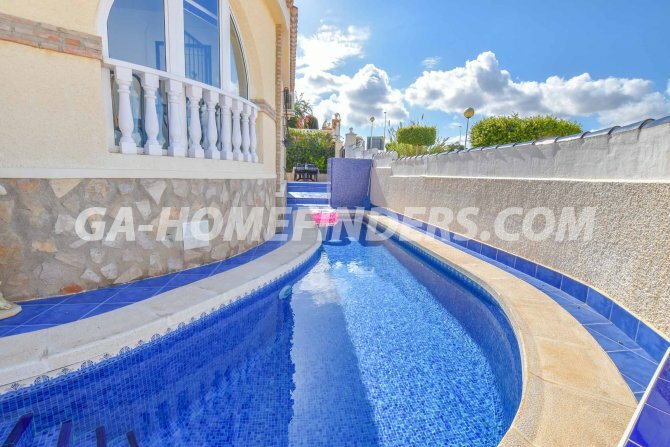 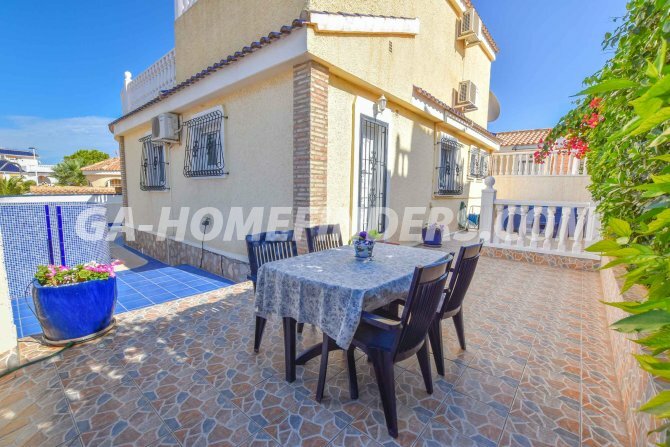 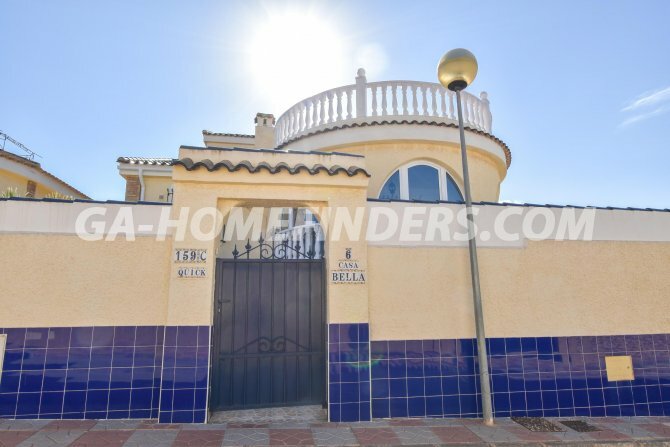 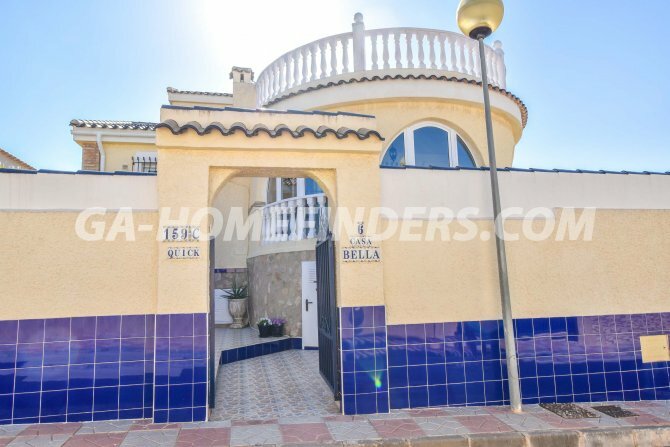 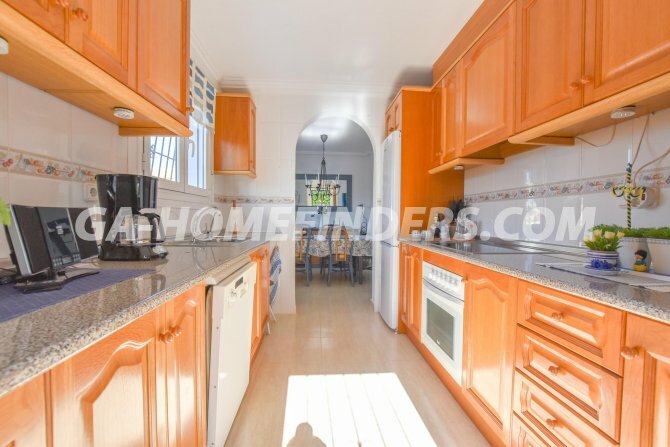 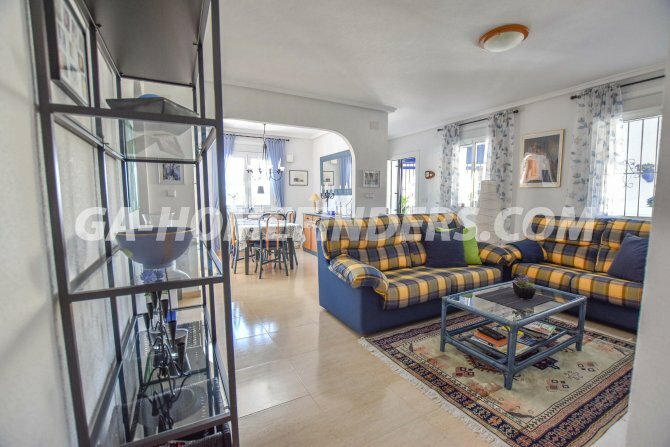 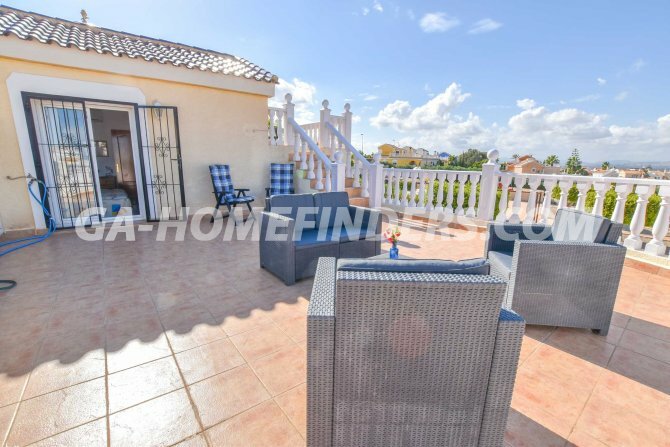 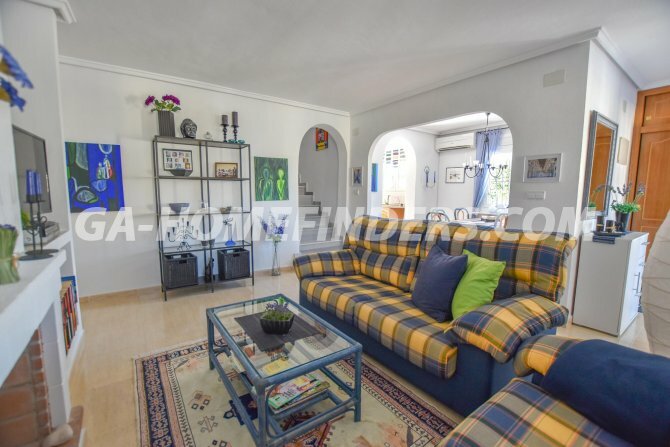 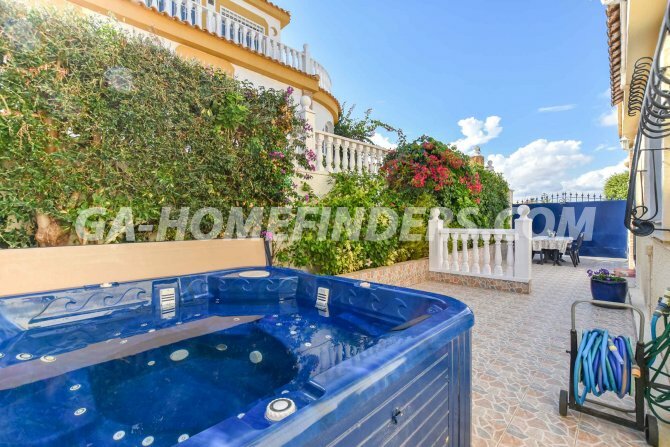 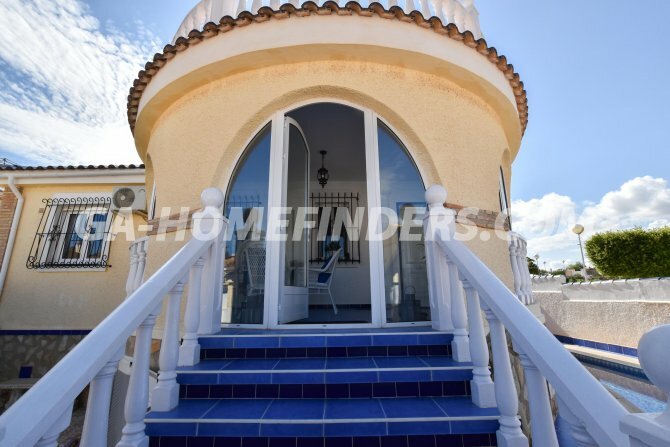 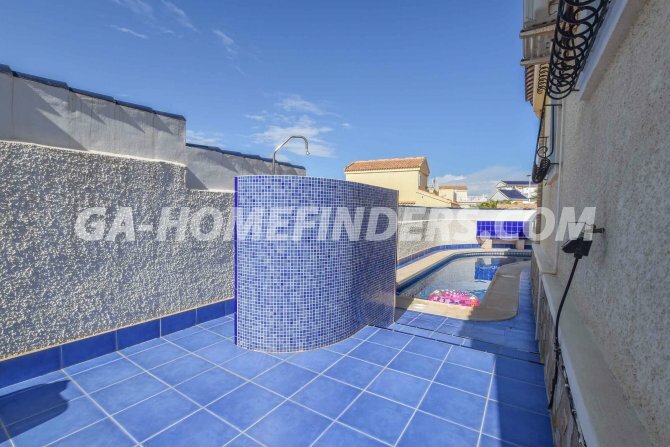 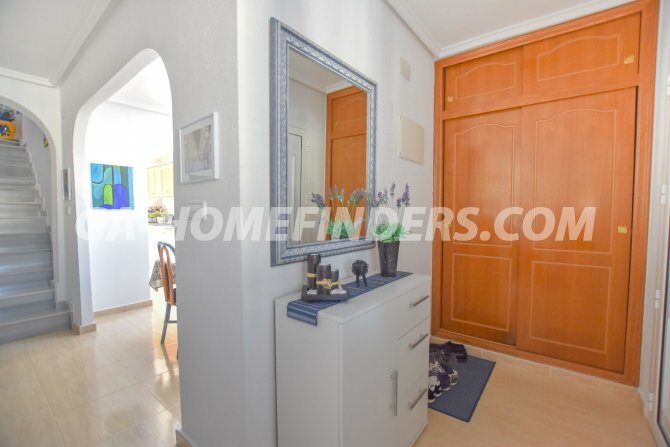 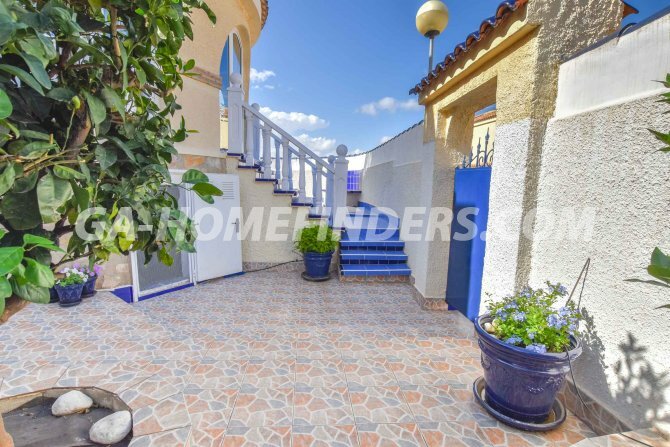 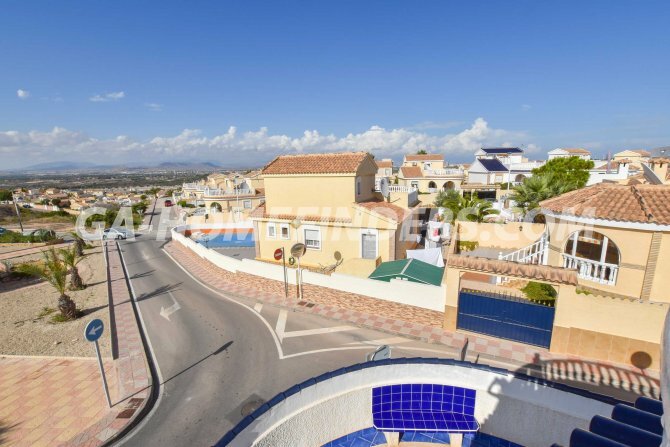 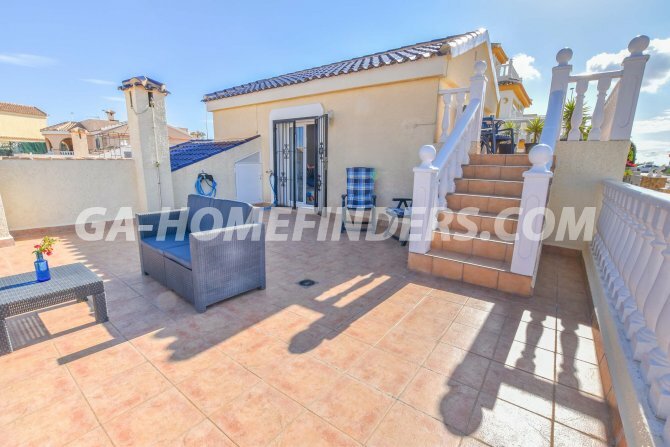 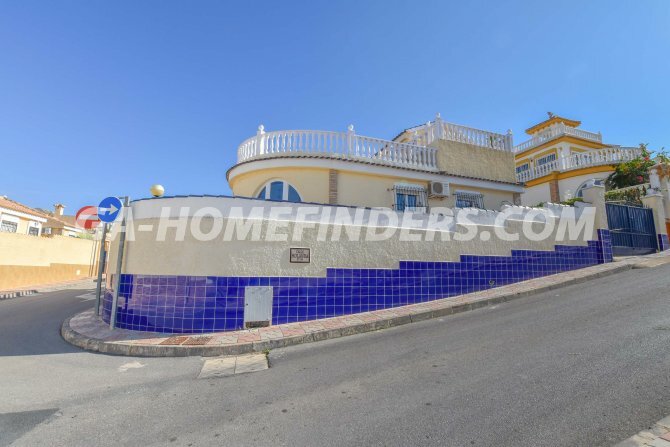 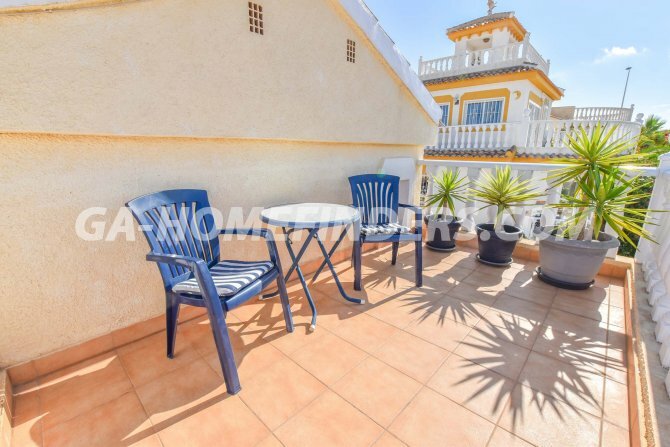 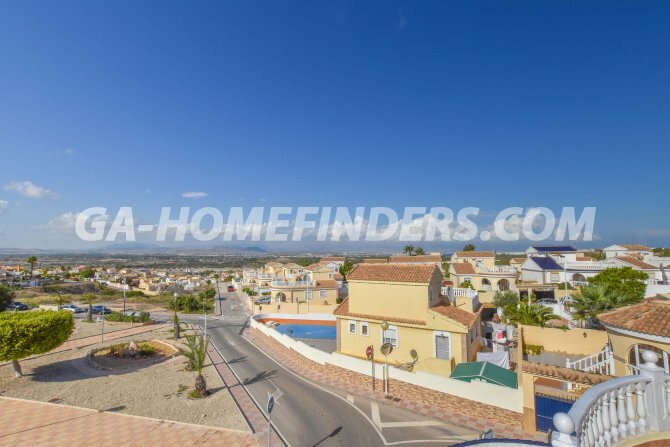 Detached villa on a corner plot, furnished throughout with 3 bedrooms and 3 bathrooms. 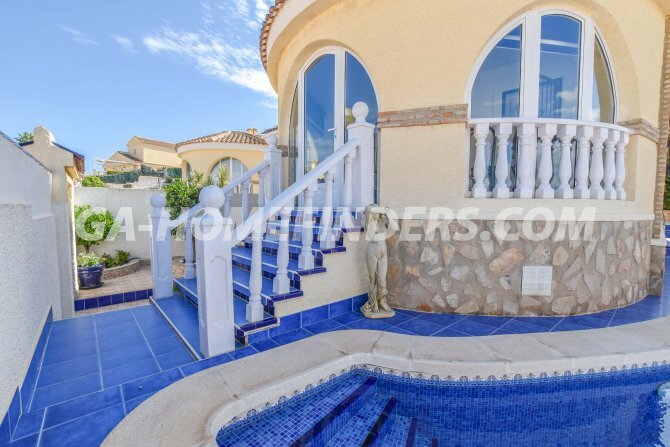 At the entrance of the villa there is a garden area with a unique pool that surrounds part of the house and a separate Jacuzzi. 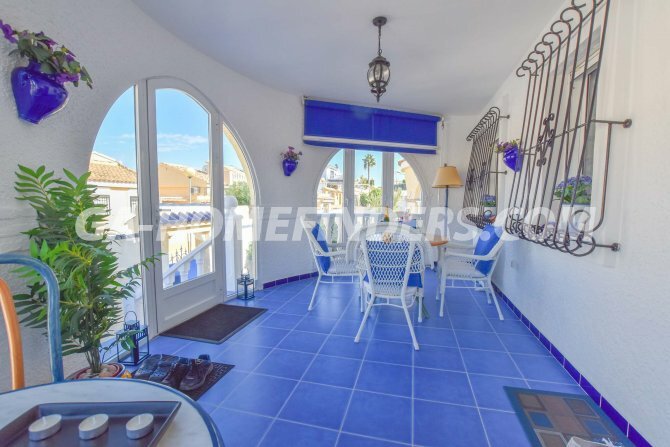 From the glazed porch there are mountain views. 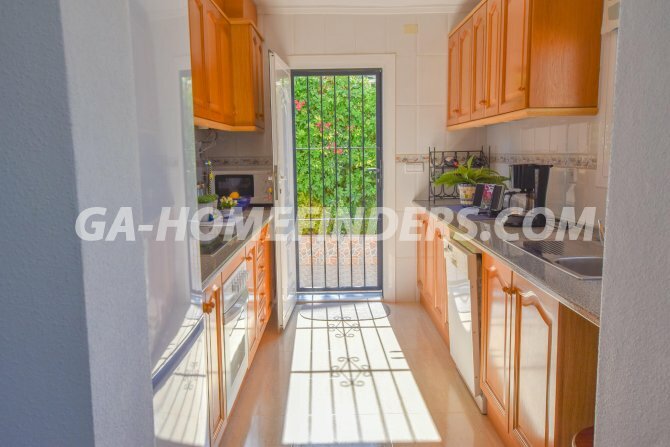 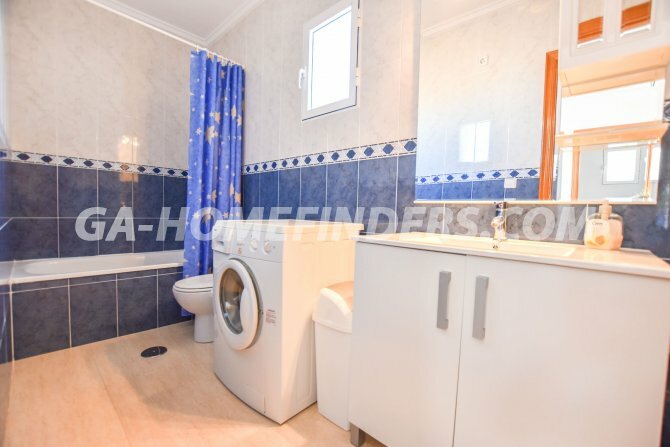 There is a independent kitchen with all appliances and a spacious living room with fireplace. 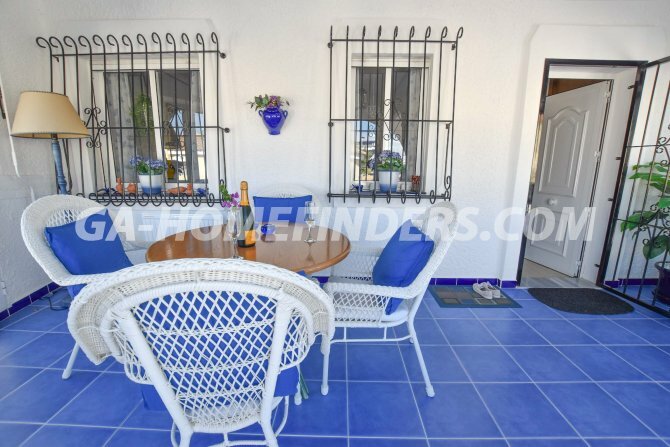 All the windows of the house are double glazed and there are shutters and grills on every one. 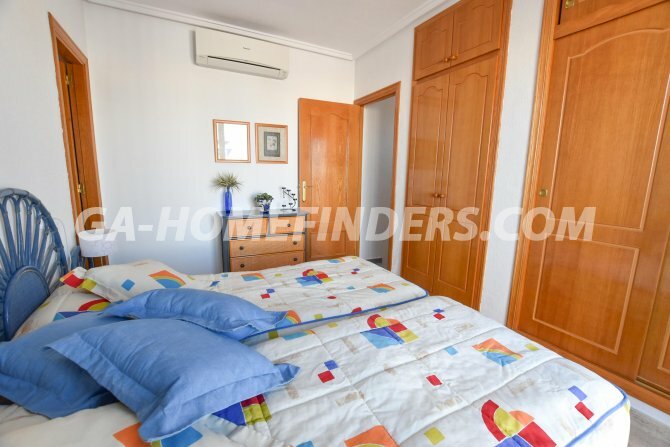 Each area of the house has air conditioning (hot and cold). 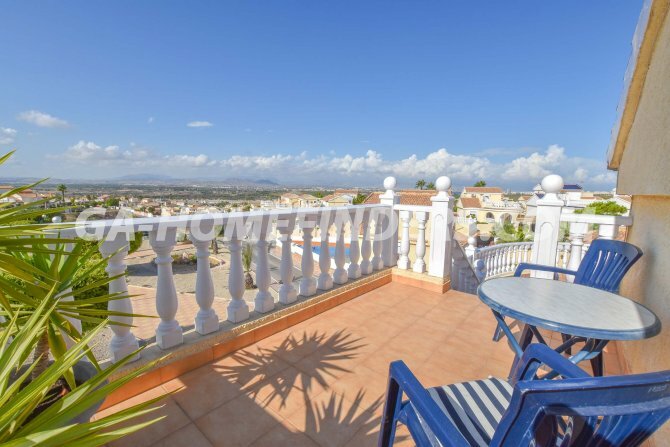 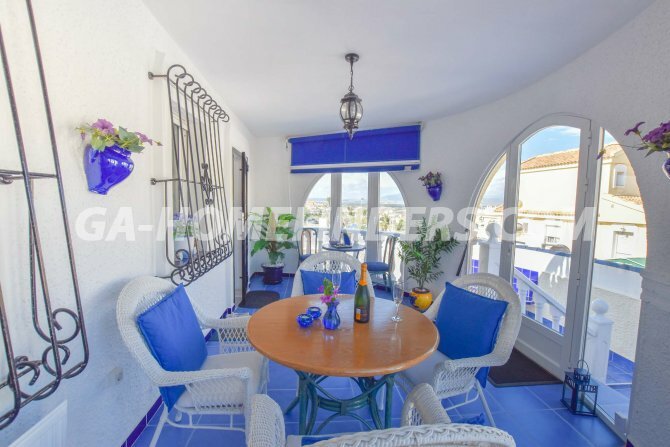 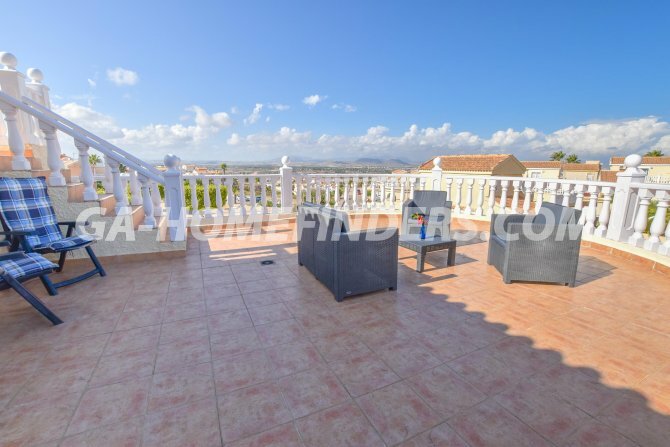 At the top of the house there is a large solarium with wonderful views to Alicante and the sea. 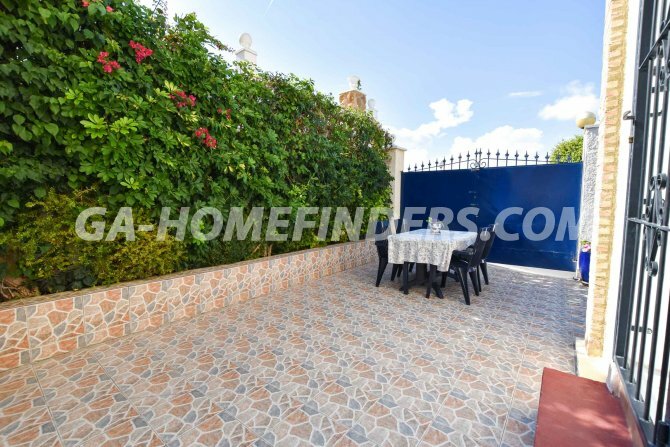 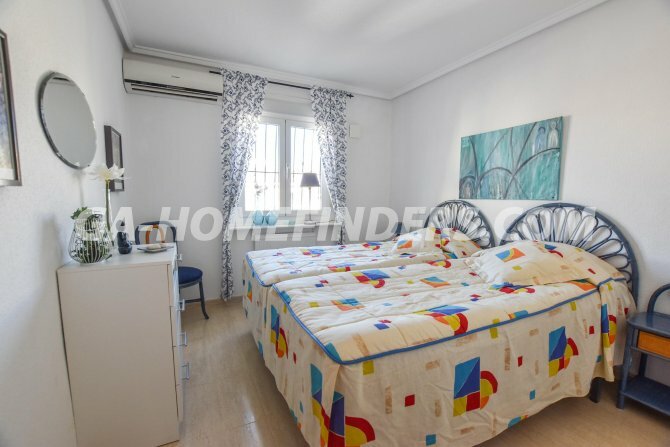 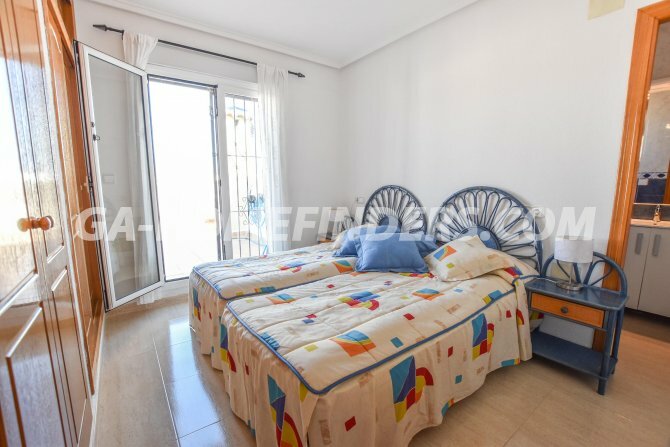 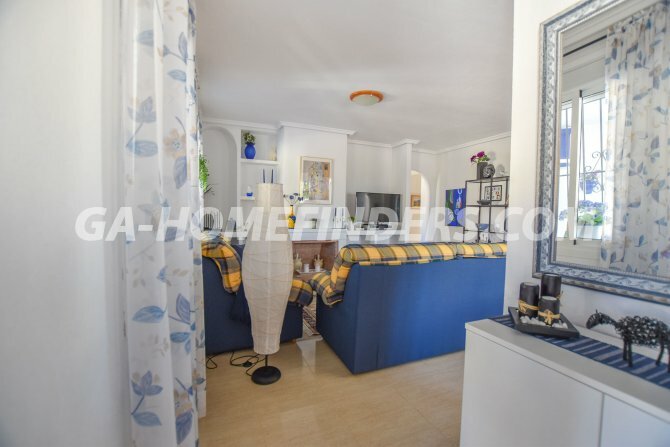 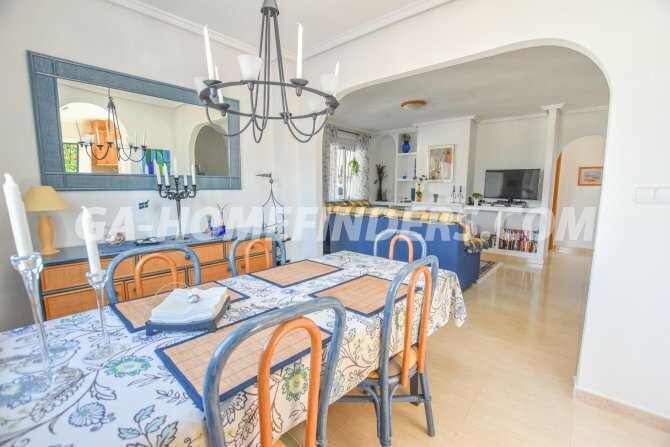 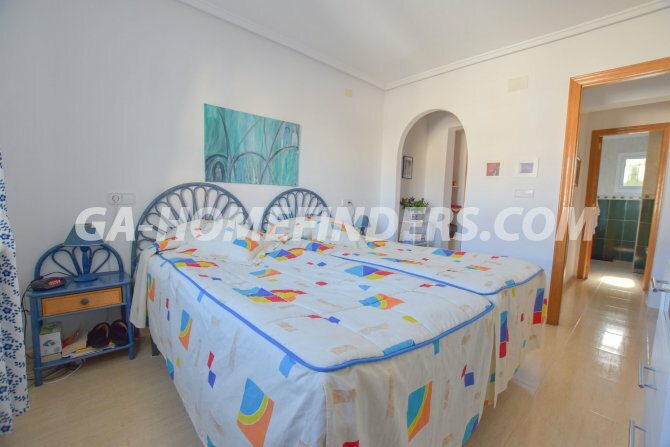 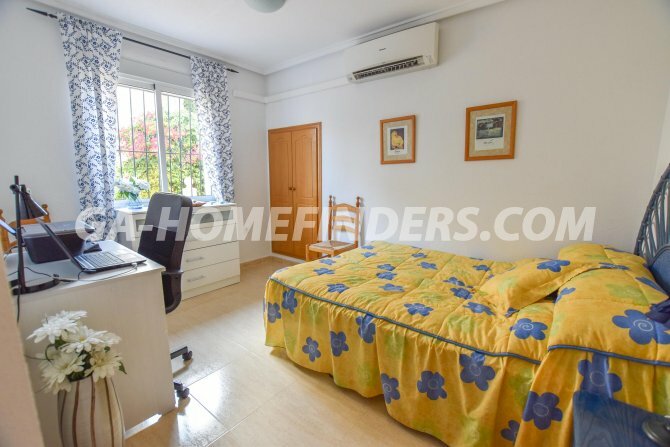 The villa is located in the lower part of Gran Alacant, near the service area of bars, restaurants and public transport.